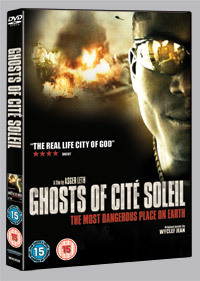 Thanks to all of you who entered our recent competition to win one of three copies of Ghosts of Cité Soleil on DVD, courtesy of Revolver Entertainment. Congratulations to the three of you, we will get your DVDs in the post to you as soon as we can. If you didn't win this time, why not try our current competitions where you can win 1 of 3 copies of Hatchet on DVD (closes 29th Jan) or 1 of 3 copies of Rise: Blood Hunter on DVD (also closes 29th Jan). Directed by Asger Leth, Ghosts of Cite Soleil follows the lives of the gun-weilding Chimeres in Haiti, specifically two brothers, Billy and 2Pac, gang leaders in the most dangerous place on earth, Cite Soleil. 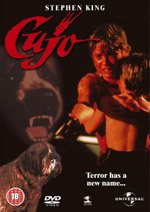 Featuring original music from Wyclef Jean, this is a story of young armed men from the slum being used for political purposes, a testament of desperate dreams in a ghetto world where dog eats dog. HAITI – The opposition rebels are approaching the capital from the north. They are taking one city at a time. They will arrive soon. They are coming to Port-au-Prince to get rid of President Jean-Bertrand Aristide. People will be killed. In Haiti there is always a score to be settled. President Aristide is up against the wall. The political opposition has taken to the streets and the noise is getting louder. The demonstrations are turning violent. GHOSTS OF CITE SOLEIL follows Bily and 2Pac – two brothers and leaders of their community. They are Chimeres, members of a gang paid and ordered by the government to take care of things. The Opposition calls them armed thugs, killers and kidnappers. They are in their early twenties. Haitian life is hard and nowhere is misery more present than in Cite Soleil, hell on earth with its open sewers and hard sun on tinfoil-houses. BILLY and 2PAC were not raised to carry guns. Billy believes he is helping his community. He has a political mind, is a true believer in Aristide and wants to fight for him. 2Pac has a dream. He is a musician, a rapper. His lyrics are his explanation, his hope of redemption. 2Pac wants out. His music is the only way, and he secretly records rap songs denouncing Aristide during the day whilst guarding Aristide's house during the night. In weeks or days, 2Pac will face his destiny. LELE is a French relief worker. Devoted to the sick and helpless of the Cite Soleil, she needs to be friends with the leaders of the Chimeres. She falls in love with 2Pac and puts her life on the line while jealousy, distrust and rivalry threaten to rip the brothers apart. 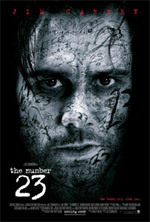 An interesting premise squandered on a by-the-numbers plot The Number 23 doesn’t really add up to the sum of its parts.